The Alaska Geotourism initiative is a collaboration convened by University of Alaska faculty and program specialists and now includes rural tourism business and community leaders focused on identifying viable rural economic development management strategies that maximize beneficial tourism for their communities and seek to further good destination stewardship. Another outcome is to provide a source of information to re-introduce Alaska gateway communities to the US and international geotourism communities. 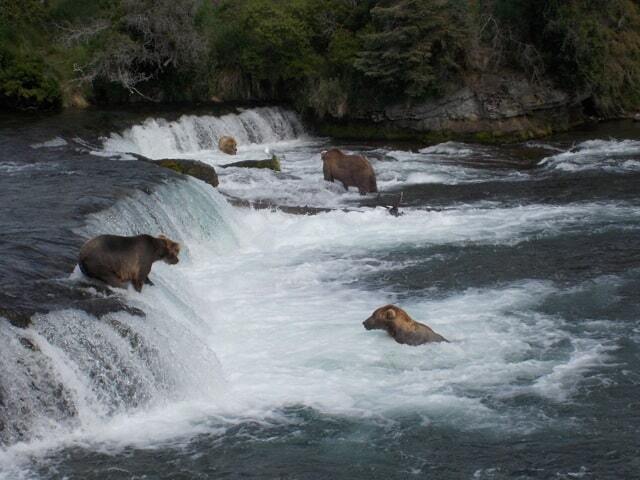 The following is a brief overview of Alaska geotourism projects currently underway. 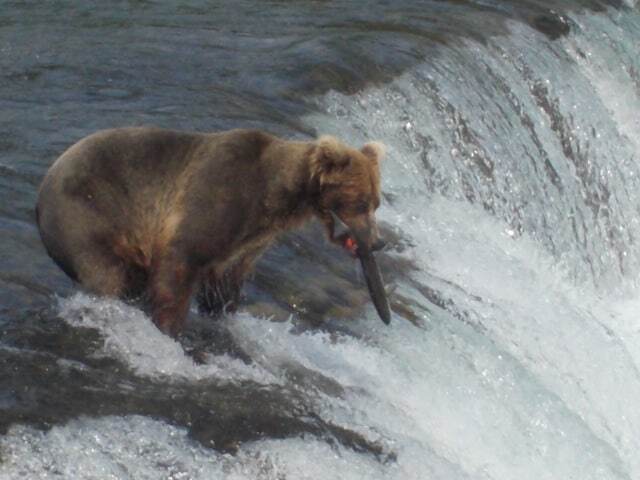 Local communities want to grab more bear-watching tourists flying into Katmai. 2. New Educational Curriculum – The University of Alaska Fairbanks Department of Alaska Native Studies and Rural Development faculty member Cathy Brooks, Assistant Professor & Faculty Advisor for Festival of Native Arts Advisor (cabrooks2@alaska.edu) is currently developing a geotourism class for undergraduate students. It will be offered both campus-based and distance. Jonathan Tourtellot and Larry Dickerson of University of Missouri have been project advisors. 3. OLE in cooperation with the UAF Cooperative Extension Service is presenting a non-credit 4-part course entitled Geotourism: Preserving a Sense of Place at the Anchorage Extension Center with hopes to introduce the geotourism approach to a wider Alaskan audience. 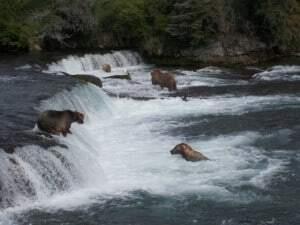 This entry was posted in Geotourism, Geotourism initiatives, Stewardship, Uncategorized and tagged Alaska, community, cruise, cultural tourism, geotourism, Nakazawa, rural tourism by Tony Nakazawa. Bookmark the permalink. Strategic waterfront native allotment lands with road and power line access at Lake Camp, Katmai National Park now provide an opportunity for Bristol Bay Traditional Governments (in mentorship and partnership with logical and trusting entities in the region) to own and operate in-park concessions as well as provide village tours to the surrounding First Nation communites. The Nov 18 2014 Naknek workshop regional debate question “Is a Tradional Government owned and operated eco/geo/green visitor center located on various native lands in the Lake Camp KNP area a good ecomonic development project for the Bristol Bay region?” and though the SWOT anaylsis and sufficient local village leadership participation, we should see light shed on this question. A big Thanks! to UAA/UAF, BBNA, and other volunteers for the FAM tour and Naknek worshop event. Alaska is a wonderful place that need more people commenting on their rich experiences. Tony keep up the good work?